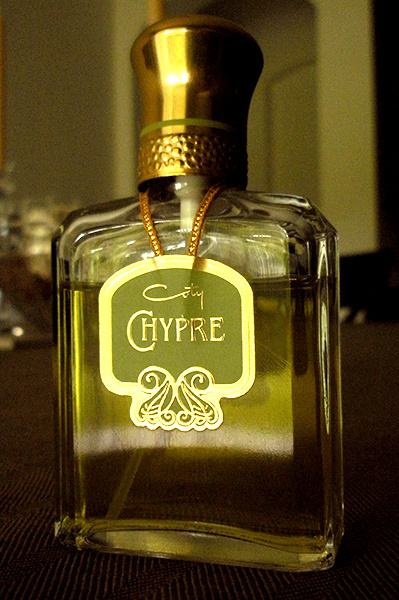 I got the bottle of Chypre de Coty that I finally dropped the money on. The justification? I waited a long time and gave myself many months of “thinking about it”. I whittled down the little sample I had of this exact same bottle and after that long, I still wanted it. This wasn’t a passing fancy with little glittering lights, the fragrance didn’t cost an absurd amount like any Agonist or that Clive Christian gimmick. Besides, it was a piece of history. So naturally the first thing to do when it arrived was whip it out and spray it on. The friend who held onto this for me, owned two bottles. One she sampled out a small vial of Chypre de Coty for me which I got and another she keeps for herself. She told me when she sampled it out that I might not like it. But I liked it entirely too much, I think. Instantly I’m reminded of the tiny sample vial I kept going back to. For a brief moment, I wondered if I had become addicted. Whatever, I was happy all day to be wafting in a cloud of Coty’s Chypre. Something about the idea of smelling and owning a piece of history appeals to me. I tend to like antiques items anyway, the personal history of them, their manufacturer’s history, and the history of the people who may have owned them in the past. One of my favorite antique items is a Chicago No.9 letterpress. 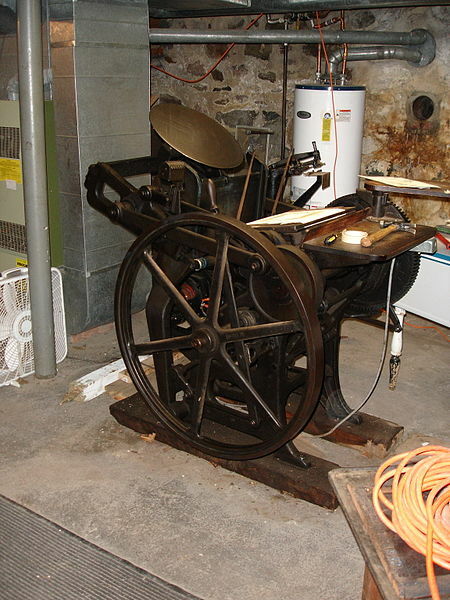 It’s too small to do practical work, but it came with a business card set into the chase (the chase of an old letterpress machine is, put simply, what you compose your item in). Before I removed the business card, I took a look at whose card was set and while it wasn’t a tiny, saucy love letter or a particularly small and delicate Christmas card, I did get an idea of the dentist (now retired) who had owned the unit before me and the antiques hunter who sold it to me. So while I’m enjoying Chypre de Coty, I couldn’t help but wonder who owned it before me and my friend who trawls eBay looking for vintage perfumes about as often as I do. But but but but… but WHERE’S THE BOTTLE PIC???? Srsly. Dying here. Dying to lust after the object of desire.